Are you looking for a new way to decorate? 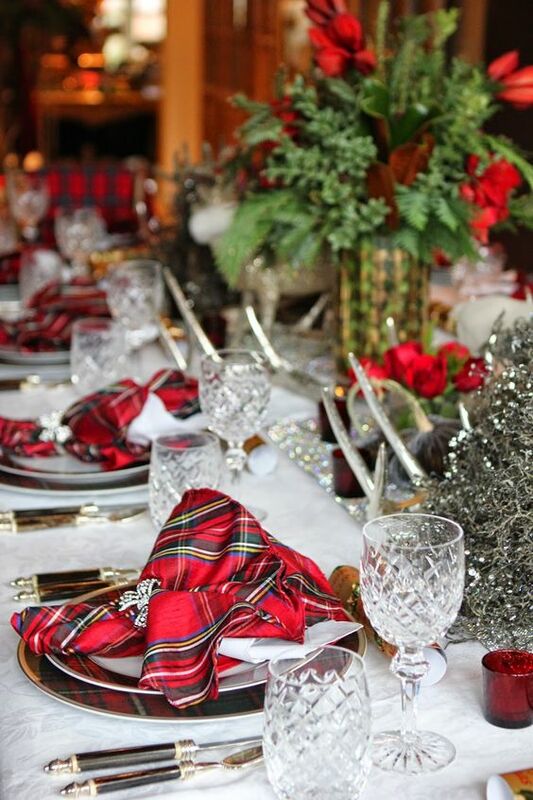 Celebrate in style this year with these holiday trends. A pretty pink ribbon on a fresh evergreen wreath is festive in an non-traditional fashion; I love that the wreath is hung over the mirror. Does anyone else get a sweet sugarplum fairy-vibe from this? 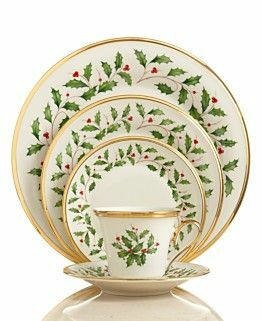 Spode Christmas china is the ideal traditional Christmas detail. 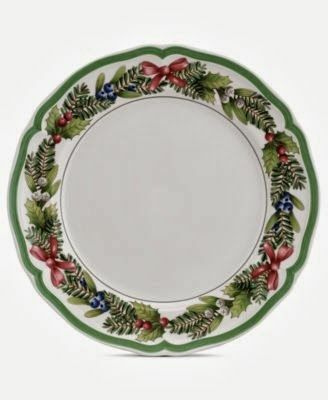 This Spode or Lennox china would also makes for a wonderful hostess gift! How does your dinnerware stack up? 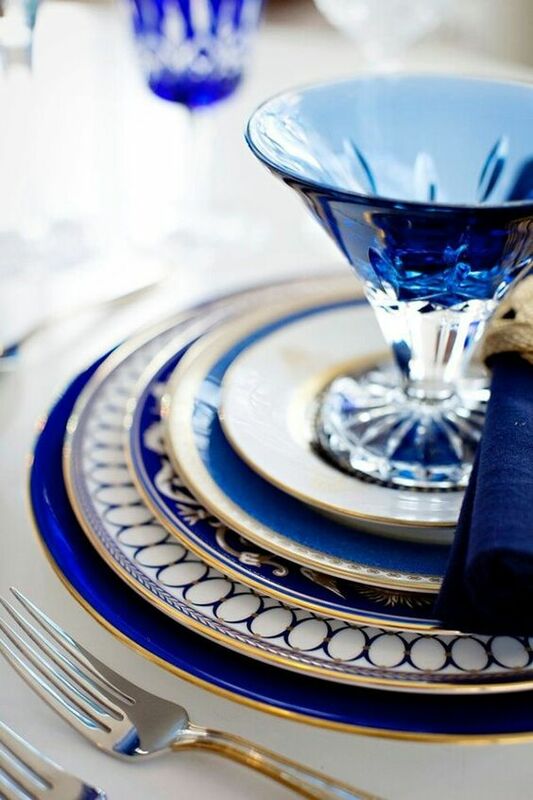 If you are hosting a Hanukkah or New Year’s party, blue and gold makes for a glamorous color palette. 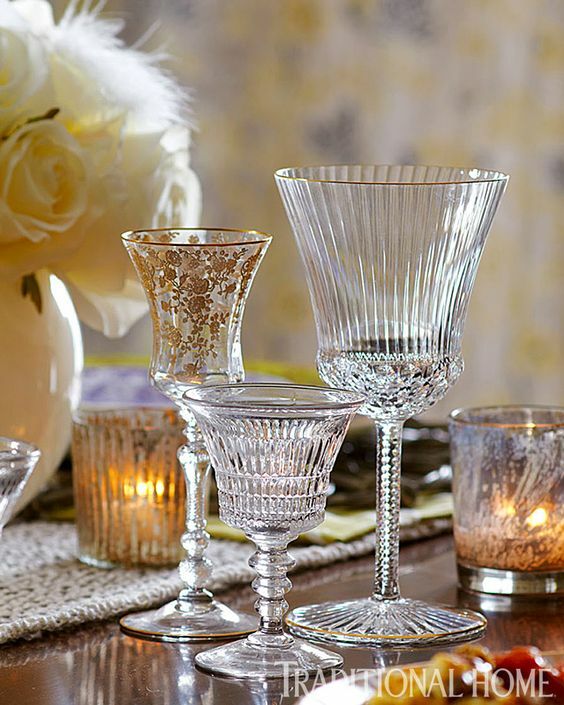 Create a unique assemblage by mixing your crystal and pressed-glass vintage stemware! Gold always exudes elegance and the vignette will definitely be a discussion piece. 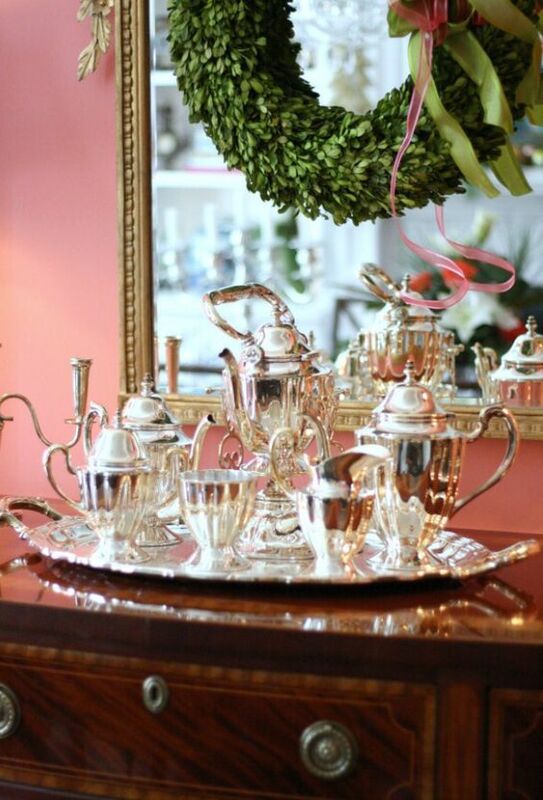 Make each holiday’s tablescape unique with specialty crystal. 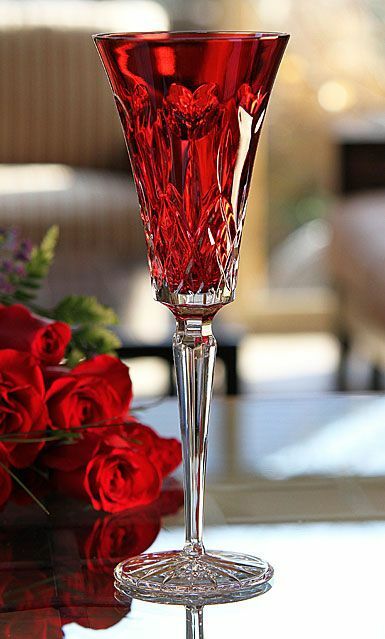 How nice would it be to have beautiful stemware reserved specifically for Christmas or Valentine’s Day? These Scottish napkins are gorgeous! 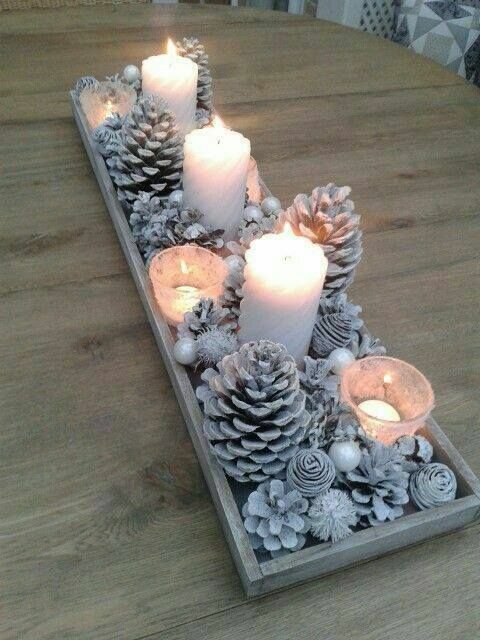 I will be thrilled when I find a similar material to decorate my table with.